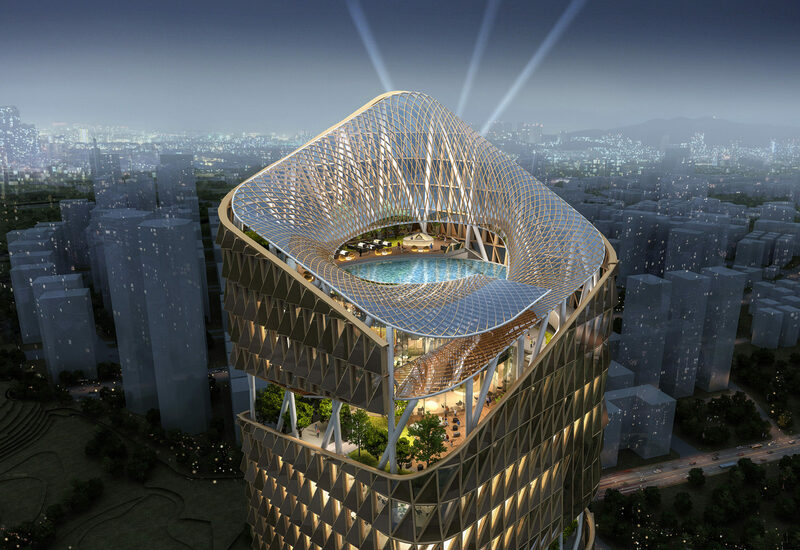 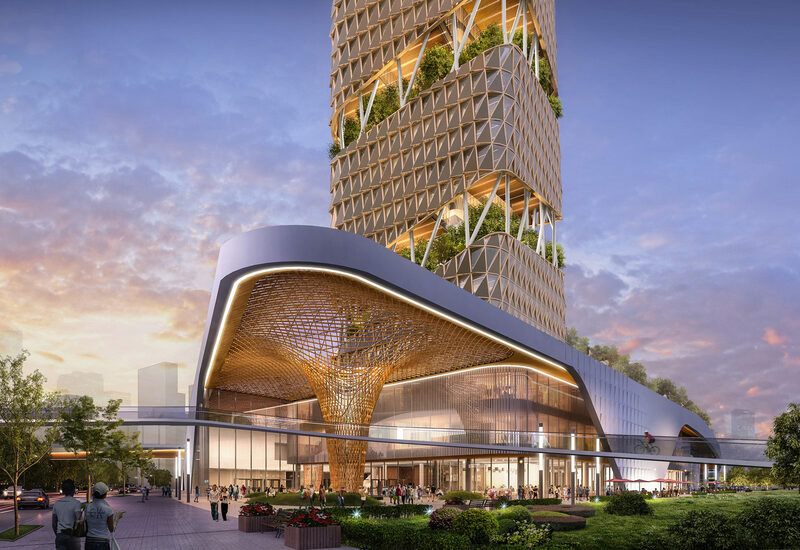 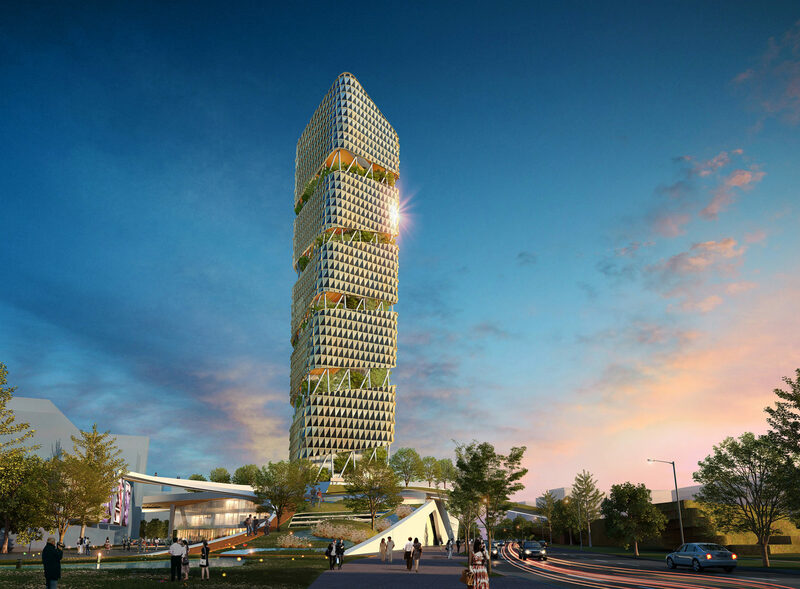 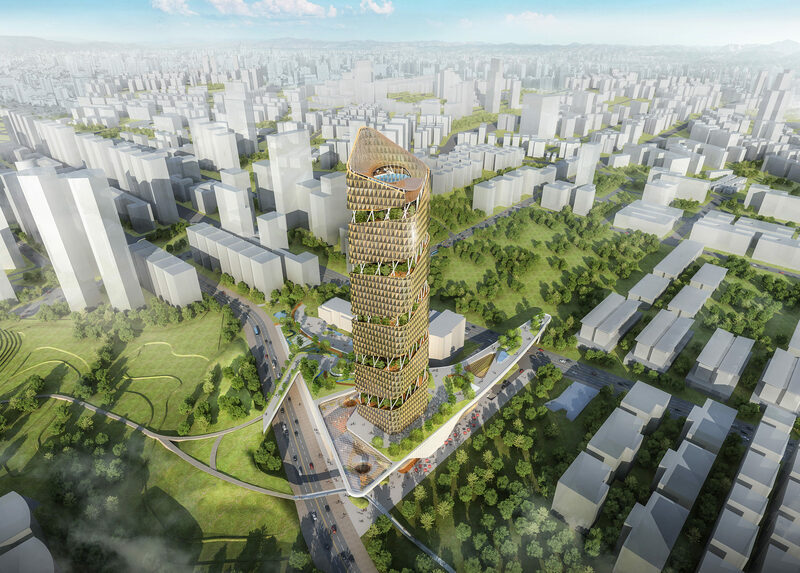 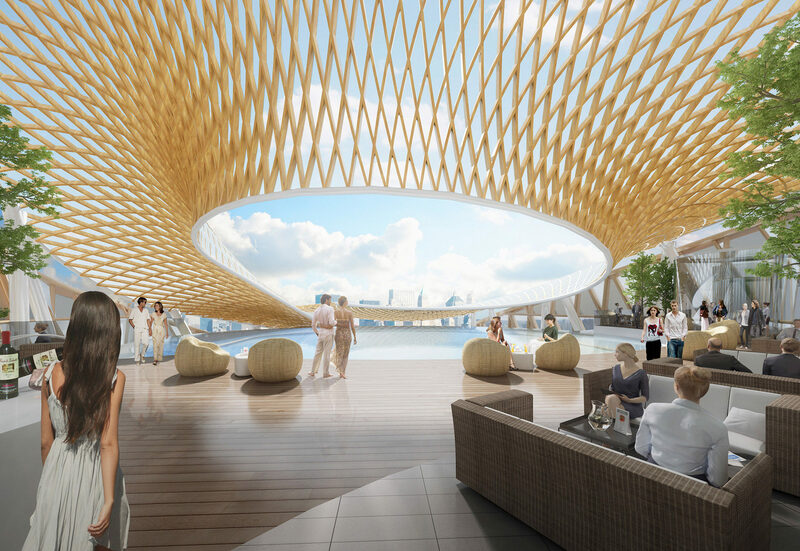 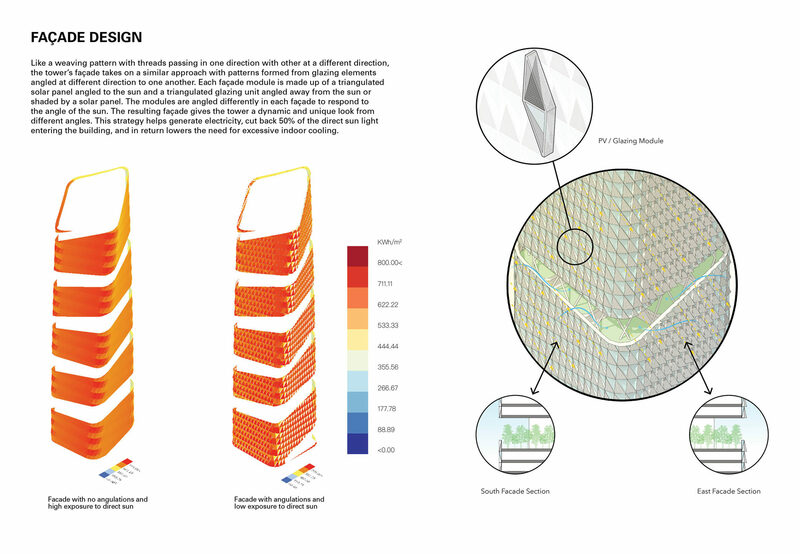 Located at the centre of Taichung’s Shuinan Economic and Trade Park, the vision for the PATH was a mixed-use tower that would set the precedent for a sustainable city model. 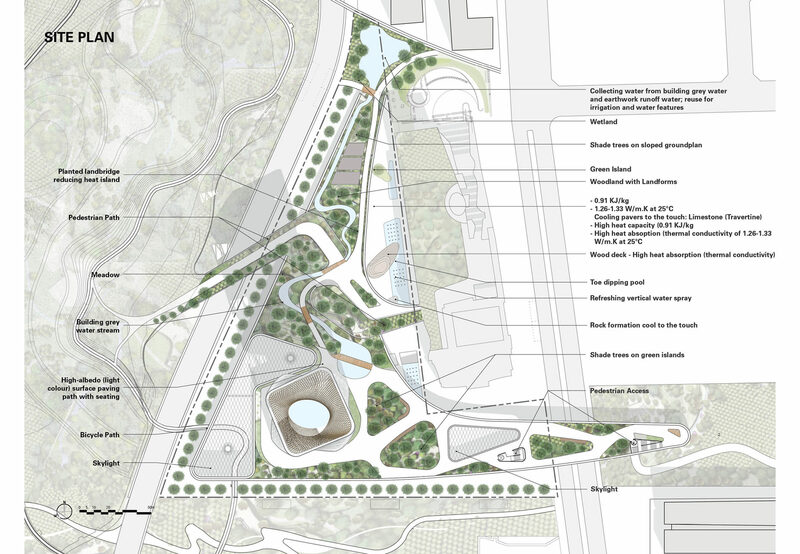 The vision for the site was inspired by the desire to integrate a generous park space and quality gathering spaces within the public realm. 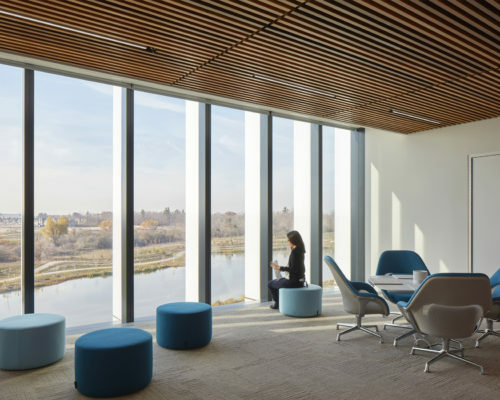 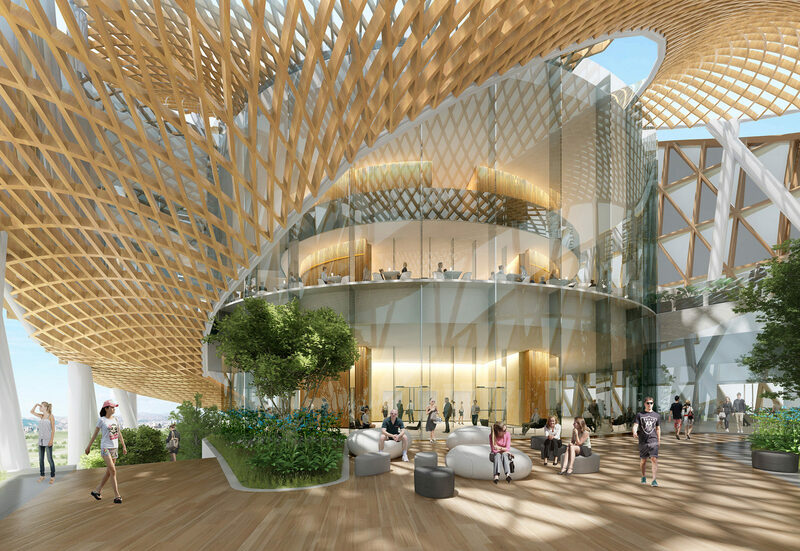 Accessible to the public, the gardens were designed to be a common and inclusive space allowing public access to the intermediate floors which house cafés and indoor resting areas directly outside the designated office areas and lead to the rooftop. 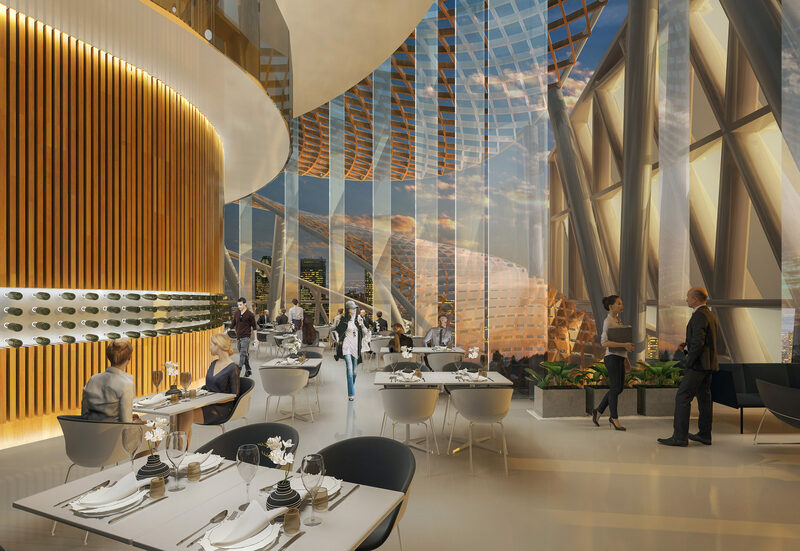 This multi-level garden path starts at the podium and ascends to the very top with a a dramatic sculptural canopy and a special water feature that reflects the city and sky. 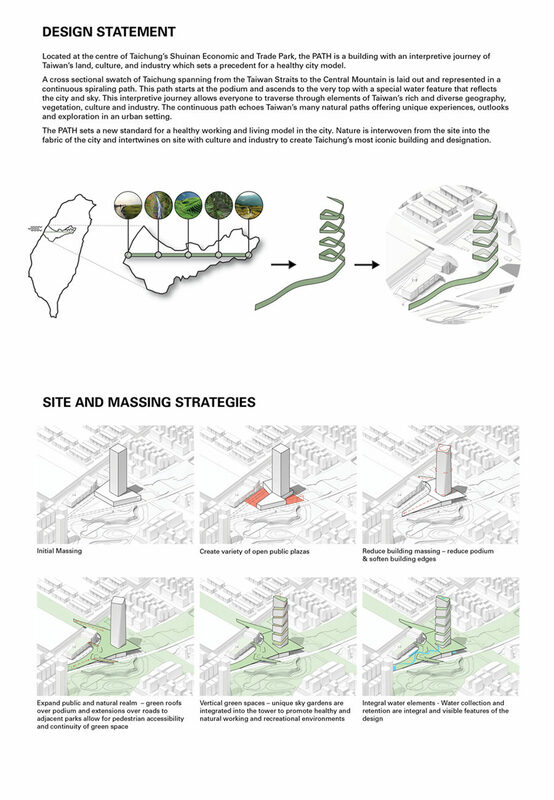 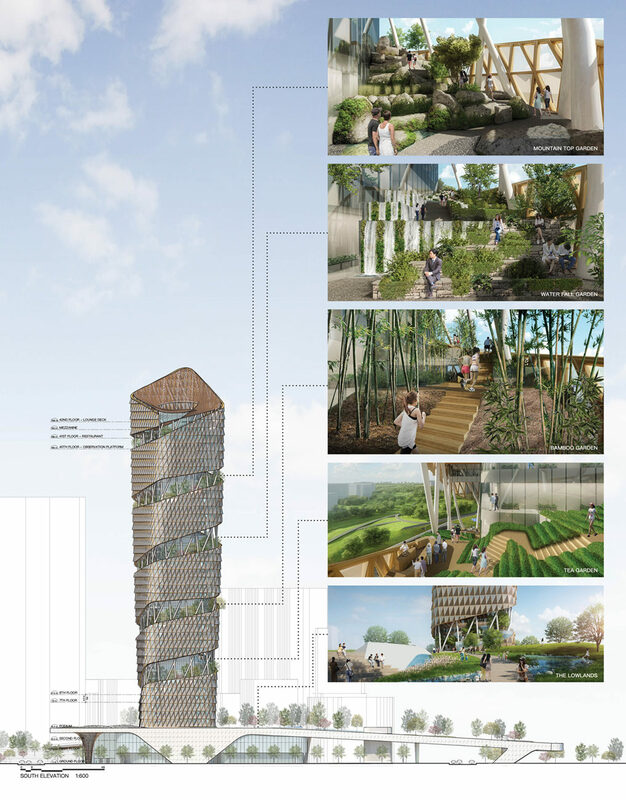 Its interpretive journey allows both building occupants and the public to traverse through the varied elements of Taiwan’s rich and diverse geography, vegetation, culture, and industry, echoing its many wonders and offering unique experiences within an urban setting. 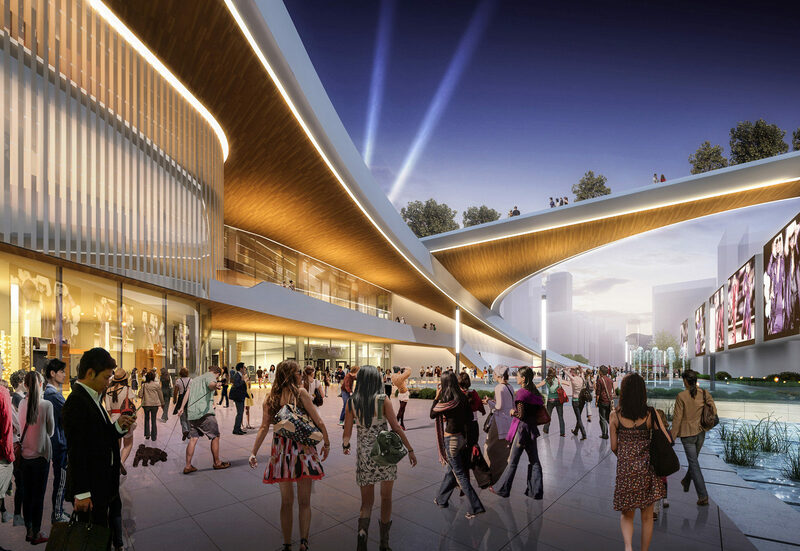 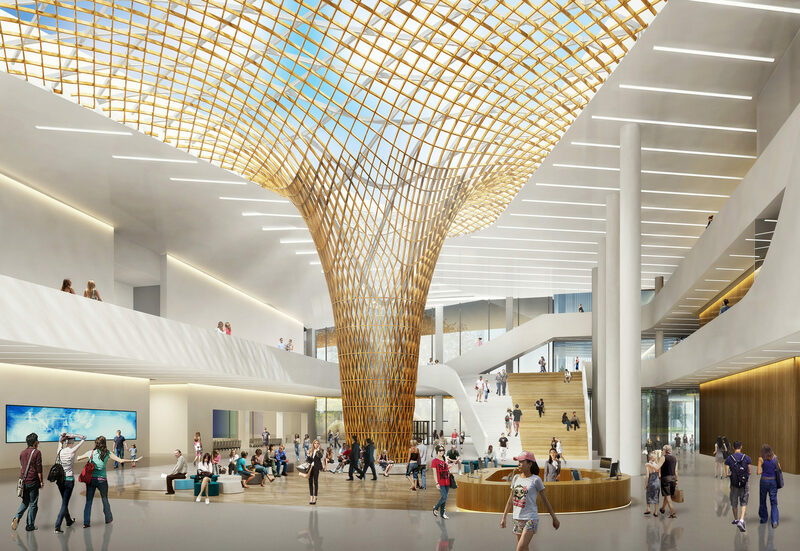 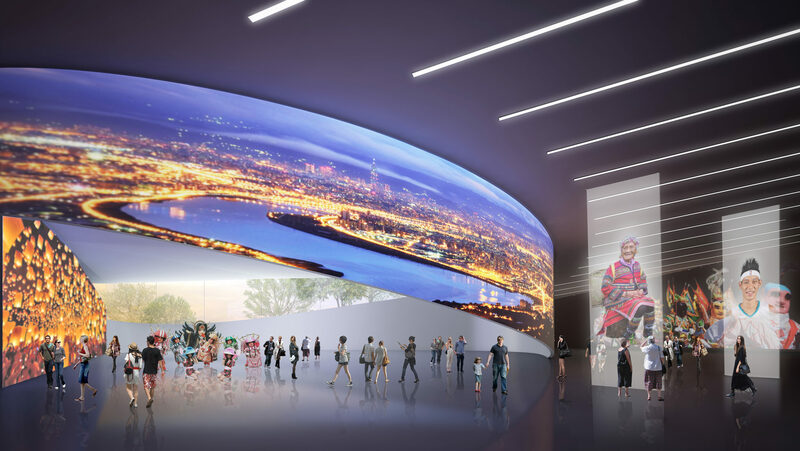 The interior ground level is dedicated to public use, further reinforcing the pedestrian realm from exterior to interior and includes a digital cultural space, a theater, shops, and a dining facility. 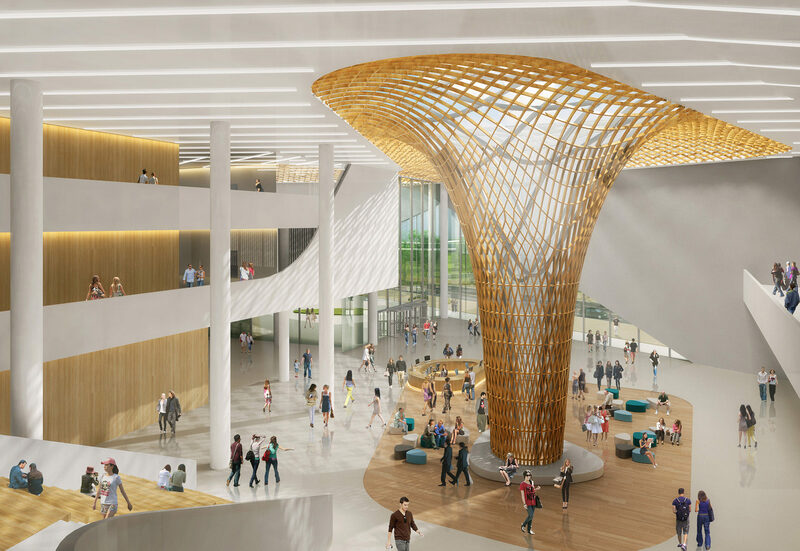 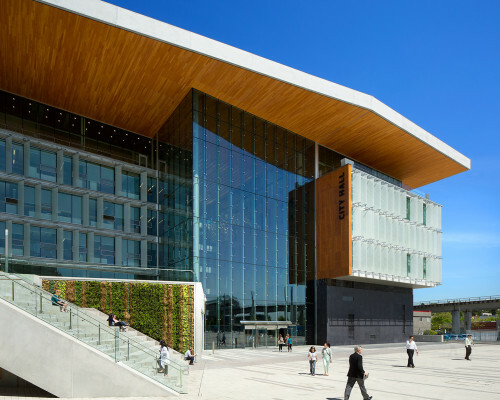 A dramatic triple story atrium space with a sculpted wood trellis serves as the main public space for the cultural centre while the exhibit space and theater have operable partitions so they can spill directly into the atrium for larger events.